egg yolk | What's for tea tonight dear? 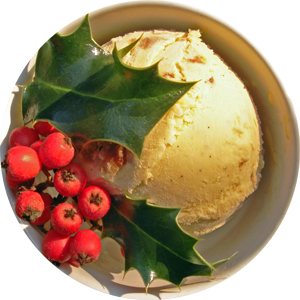 Did I mention already that I think the combination of thyme and tonka bean tastes like tarragon? Not exactly like tarragon – if that were the case it would be easier just to use tarragon! – but a grassier, less aniseedy version. 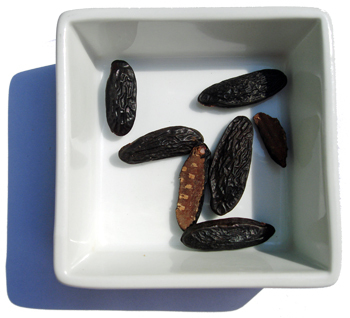 They’re beautifully versatile little buggers these tonka beans, with a vanilla-like freshness that works just as well in sweet dishes [like my Christmas Pudding Ice Cream] as it does with chicken and fish. I swear I detected some yesterday too in the Pork Pibil which I had at Wahaca’s Southbank porta-cabin pop-up, though the recipes I’ve found online make no mention. I’ve used the pairing here to update a recipe which I first shared in My St Margarets Magazine a couple of years ago. And I’ve changed the method too to produce an easy, prepare-ahead dish for summer entertaining, not least because I know the Lakeland Taxi Driver has a lunch party for twelve this Sunday! This version comfortably serves six, I’m sure you can do the maths. A recent road test played to rave reviews in a packed garden, hopefully your guests will feel the same. Prepare and cook the chicken as per my recipe for Pot Roast Chicken Veronique [ignore the bit about the Verjuice syrup for this recipe]. Don’t forget to season the bird well, inside and out. Grate the tonka bean over the chicken before you pour over the wine. When the chicken is cooked set it aside to cool. Strain the cooking juices and reduce to one third of their original volume. Let this cool too. To make the mayonnaise blitz the egg, yolk, salt and mustard in a food processor. Then with the motor running start to add the oil – drop by drop to begin with, then in a thin stream, and then as the sauce emulsifies and begins to bulk up you can increase your rate of pouring. Add the vinegar to the finished mayonnaise with the motor still running. I’ve only just started making mayonnaise and now I can’t stop! It’s proper magical kitchen alchemy, and nowhere near as scary as everyone makes it out to be. *If you don’t plan to make your own mayonnaise please use a decent ready made one – this really is no time for bog standard factory nonsense! Roughly tear the flesh from the legs, breasts and back of the bird and scatter into a dish. Take a couple of small ladles of the reduced juices [about 60 ml] and mix into the mayonnaise, and taste. If you feel it needs more, add some. And perhaps add another small shaving of tonka bean, but do it with a light hand, if at all. The flavour could easily dominate, and will build as the dish rests. Coat your chicken with the enriched mayonnaise, stir well, cover and refrigerate overnight. To serve give it half an hour or so out of the fridge, and decorate with some chopped parsley, a grind or two of black pepper, and some lemon slices – or some watercress, or perhaps pea shoots. It will need a little garnish as although it’s delicious it can look a tad monotone without. This deserves to take centre stage, so make sure it’s dressed to impress! I recently ordered a Pina Colada in a chi-chi Kensington cafe at 4:30 on a Friday afternoon – I was in the mood for one, it happens! – only to be told, a tad too frostily I thought, that cocktails weren’t served before 6:00. We were celebrating for heaven’s sake, and the waitress seemed to be implying that I was some sort of lush. Don’t get me wrong, it’s not the first time that such an accusation’s been lobbed in my general direction, but normally by people with whom my acquaintance extends to more than just the passing of a menu. A menu which, I hasten to add, mentioned nothing about this cocktail curfew. Now it’s not every day that I crave a Pina Colada, and it happens more often round a Caribbean pool than in the grey of a London summer, but once decided the disappointment of a thwarted craving rankles. And it was rankling still when my friend Richard started pressing me for coconut recipes, which is where the plot thickens. Richard and some other dedicated souls are embarking on The Three Peaks Challenge to raise money and awareness for the Samantha Dickson Brain Tumour Trust after his friend and colleague Francesco Anstey tragically and unexpectedly died of brain tumour earlier this year, aged just 23. Coconuts, somehow, have become an emblem for the team’s efforts – there’s even talk of having a coconut shy at the top of each mountain – and hence Richard’s request for coconut based help. Which I’m more than happy to give if pottering around in the kitchen gets me out of yomping up a mountain or three. So I’m having my Pina Colada, as an ice-cream, in a glass. And Francesco, I’m raising that glass to you. You can find out more about the challenge on facebook or by following @fa3pc on twitter. And if you enjoy this recipe please consider making a donation of whatever size through the just giving page here. Whisk the egg yolks in a heatproof bowl. Combine the cream, milk, coconut milk, pineapple and lime juices, sugar and vanilla paste in a pan and heat to simmering point whilst stirring. Add a ladleful of the hot liquid to the eggs, whisking all the while. Add the egg mixture back into the pan and cook on a gentle heat with constant stirring for five minutes, until thickened enough to coat the back of a spoon. Remove from the heat, cool, and then refrigerate until completely chilled. Whilst the mixture chills chop the cherries into small pieces, and pineapple rings almost to a pulp. What happens next will depend on the instructions for your ice-cream maker, but you’ll need to set the mixture churning and then five minutes before the end of the churning / chilling time add the cherries, pineapple and grated lime zest. Transfer to a sealable container and freeze overnight. 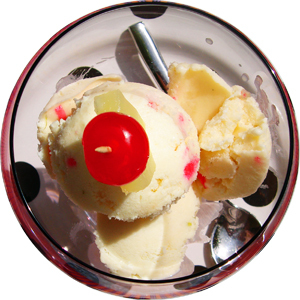 Any remaining pineapple and cherries can be used to garnish the ice-cream, cocktail style. Paper parasols optional. Eat within one month, if you can wait that long.